Home » General » Look Who’s Returned To My Mango Tree! Look Who’s Returned To My Mango Tree! I do not lay great store by my blog stats. I did initially, until my counter one time, read nine views and one visitor, while the country spread indicated the views came from five countries! I highly doubt even Clark Kent could manage that feat in twenty minutes. 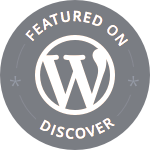 A recent Daily Post article titled Beyond Traffic by Ben Huberman, sent me tinkering under my hood and I was taken aback by what I discovered! Of my 327 posts in 28 months (and I thought I was pretty prolific! ), my most commented posts are not as one might expect the one’s about Macchu Picchu, or the temples in Siem Reap or even the Taj Mahal! It seems you my dear readers, prefer reading about ‘Me’!! And the goings on around my mango tree! Like our grand old Congress Party, that received an ignominious drubbing in the recent election, I shall put blinkers on and not introspect about what these numbers say about my travel writing. So, bowing to popular demand, I take you back to the mango tree outside my kitchen window, that does not even belong to me. The parakeets are missing, but the Asian Koels are back. The males still stay out front, but these fidgety female chicks seem to prefer the mango tree. The dawn cacophony is just about beginning, and the numbers are twice as many as last year. We are preparing for some major sleep deprivation. 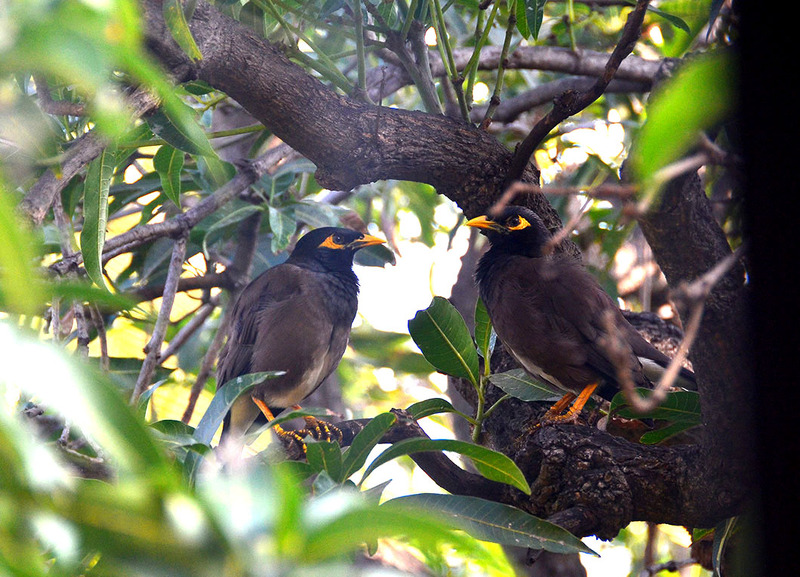 Common Mynas are new visitors this year.These two look much married to me. I am not a fan of crows, but this House Crow hopped close to me while I was patiently watching out for his more exotic cousins, and seemed to want to tell me something! Perhaps he was hungry, or in pain. Or as most Indiands believe, the spirit of some ancestor? I felt a distinct connection! And finally this beauty is back! Which means that first trip last November, wasn’t just a one off. I had mistakenly assumed he (?) was a Nuthatch, but have just discovered he is actually an Indian Pitta. His upper parts are blue-green (faintly visible in the thumbnail). Hope to capture that when he begins to trust me enough to turn his back on me. Isn’t he gorgeous? May he be the father of a thousand sons! That is a very refreshing post and I can see why it garnered that kind of traffic 🙂 And in a way, it is some sort of travel that you have undertaken within the confines of your home! I do!!! 🙂 Thank you Paula.